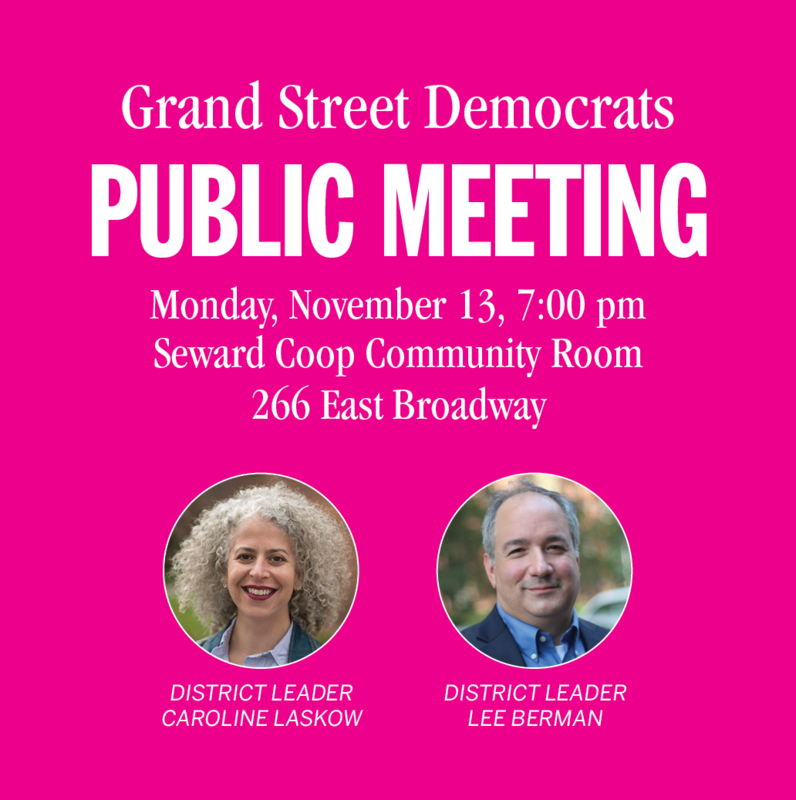 With the election of new Democratic District Leaders in September, there’s also a new official Democratic club in the neighborhood called Grand Street Democrats. 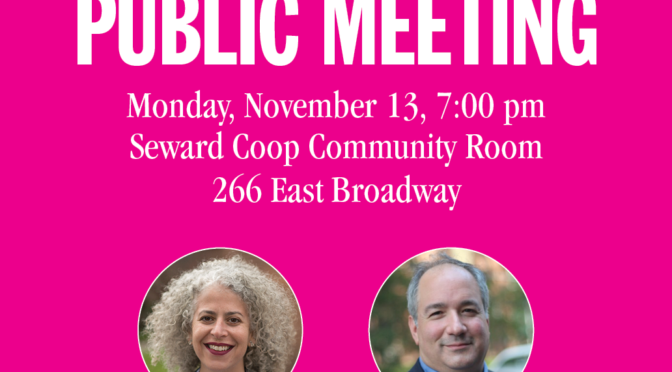 GSD is holding its first regular meeting on Monday, November 13. This meeting will be mainly focused on getting input from new members about what the club’s goals and priorities should be. With city elections just finished, there’s still a lot to talk about. For one thing, we have a new State Senator, Brian Kavanagh, and a new member of City Council, Carlina Rivera, representing half of the East River buildings. There are hyper-local issues to organize around, including Grand Street traffic and development of nearby skyscrapers. And 2018 will be an important year to participate in Democratic campaigns beyond the lower east side. Anyone is welcome, but becoming a member will give you a chance to vote on club actions and endorsements. See more information at grandstreetdems.nyc. Previous PostSeward Park Conservancy Fall Cocktail Party — 10/26Next PostIs Silver planning a comeback?